This theme is ever-present on Plage’s newest release, aptly titled All We Have Is Now. Her second major release, the five-track EP conveys Plage’s heart through honest lyrics and messages that God wants her to convey. What does this have to do with anime or manga? Well, in addition to being a music artist, Cait Plage also was an amateur voice actor. But it couldn’t be clearer that her true calling is in music. Plage’s messages are accessible and relevant, whether listeners are Christian or not. Like a number of Christian artists, she avoids lyrics directly referencing God and Jesus. And in a way, the songs are all the more powerful because of that decision – listeners can relate to and be inspired by without feeling preached to (similar Switchfoot’s Beautiful Letdown). The album has a pop feel, but the tone is different on some tracks, coming across as contemporary folk. It’s a nice juxtaposition that made it hard to pin down similar artists – her work is as varied as that of Sara Groves, Taylor Swift, and Nickel Creek. Regardless, both styles fit Plage’s beautiful voice nicely. 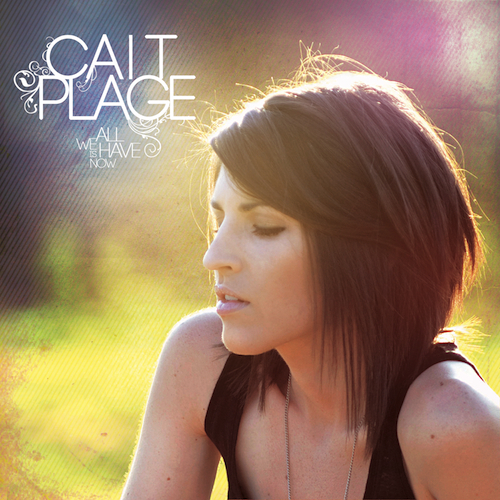 Cait Plage is a wonderful singer and has crafted a catchy EP. But more than that, All We Have Is Now is full of thoughtful and timely messages that I think will strike at the hearts of any who are willing to hear. You can purchase Cait’s EP through iTunes or Amazon on March 29. Next Post Aniblogger Testimony: Can Anime and Religion Coexist Peacefully?